The 30-mile loop includes the Kennebec River Rail Trail followed by an on-road route that takes you from the city to the country. It includes Hallowell, Cobbosseecontee Lake, and Jamie's Pond. There is a swimming hole at the outlet of Cobbosseecontee Stream. Don’t forget your bathing suit. 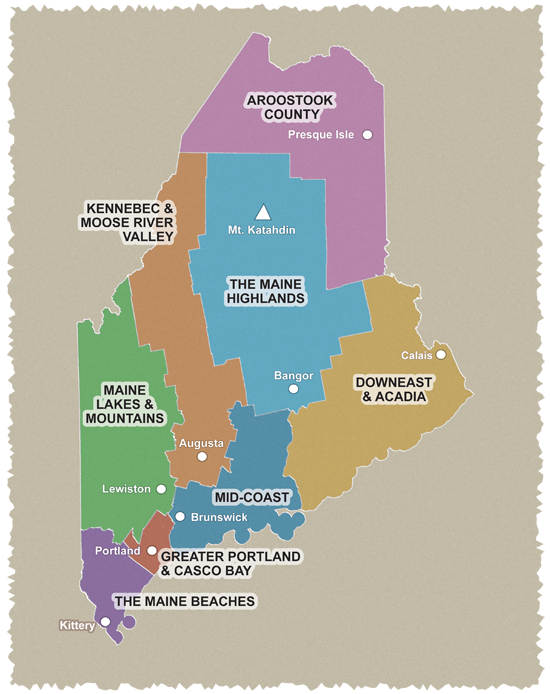 The pleasant 42-mile ride takes you from the trailhead of the Kennebec River Rail Trail opposite Capitol Park (from which you can see Maine's Capitol) to the scenic lakes region west of Augusta that includes Hallowell, Gardiner, Litchfield, Monmouth, Winthrop, and Manchester. This region provides scenic views of Cobbosseecontee Lake (Cobbossee to locals), rolling farmland, apple orchards, and the Kennebec River. Cautions: Narrow roads. Some roads have no shoulders. Starting point: All tours start and end at the Kennebec River Rail Trail trailhead off Union St. in Augusta. Take State St. (US 201); turn onto Union St. at traffic light (opposite State Capitol); KRRT parking area is 0.1 mi on right. Park near trailhead. YMCA across parking area with public restrooms.